The institute aims at all round development of students’. 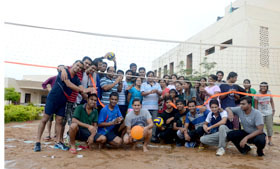 The Sports activities, help our students refresh, de-stress and keep fit. The different games that are played here include Cricket, Badminton and other indoor games. Resources for indoor games like caroms, chess are also available. 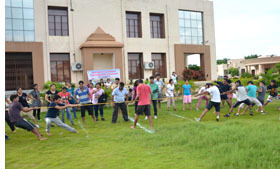 The students are divided into groups which compete with each other in all sports activities during various competitions held throughout the year. Students are participate in inter-centre competitions. Seminar Hall The Institute has the proud distinction of maintaining a fully air-conditioned multi-purpose Hall. This well designed hall with seating capacity for 300 participants equipped with modern presentation tools. Workshops, symposiums, guest lectures and periodically held in this hall.